While there are beatable online poker games all over the internet, perhaps the most beatable game of all is the double-up sit and go. Unlike most poker tournaments, the prize pools for double-up SNG’s are simple: you finish in the top half of the SNG, and you double your money. So if you’re interested in making some major profits with these tournaments, here is a closer look at double-up SNG’s. The best part about double-up SNG’s is that it’s easy to cash in them because, as mentioned before, you only have to beat half of the field. This being the case, you can be a winning long-term player just by cashing in over 55% of these tournaments. For example, let’s say that you play in one hundred $1 + $0.10 buy-in double-up tournaments ($110 in total buy-ins); if you win $2 by cashing in 55% of these tourneys, you’ll make $110 and break even. Assuming you can cash in 60% of these tournaments, you’ve made a nice $5 profit, which isn’t bad for a $1.10 SNG player. Just imagine what you could make if you were playing $10 double-up SNG’s! One more point worth mentioning about these SNG’s is that the payout structure is a lot nicer than multi-table tournaments, where only the top 10% of the field gets paid. Since most of the best poker players are busy chasing huge MTT prize pools worth $100k and up, the competition isn’t quite as strong in double-up tournaments. Most really good players don’t want to grind for their profits in double-up tourneys, which works great for other players. So if you’re looking to avoid the toughest competition and go for easy profits, double-up sit and go’s are the perfect game to play. Carbon Poker is the best place to play in terms of weak competition double-up SNG’s, while both Full Tilt Poker and PokerStars offer a lot of different double-up stakes. 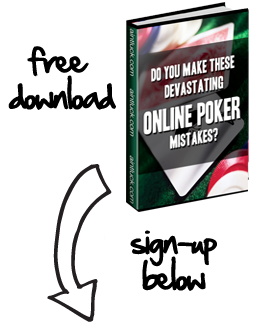 Sign up at one of these poker rooms, and watch your profits soar with double-up SNG’s! ok so where’s the strategy?? ?